Scorpios born on November 16 like to be organized in their thoughts and action, especially when it comes to long-term goals and objectives. They possess a blend of balanced internal stability and a spiritual connection with the world around them. This allows them to pursue creative careers while also generating a great income. These Scorpios feel comfortable in entrepreneurial positions where they can create constant revenue based on doing what they love. November 16 Scorpios are leaders. Because November 16 Scorpios are romantics at heart. They bond intimately with people and feel very happy when they are with their best friends or lovers. They have a sensual approach to the life they live, often looking at the upside of life and seeking the best in others. They can be fiercely self-protective when hurt or deceived, however, and a more reserved side of them can prevail. November 16th Scorpios will never fully let you know what they are thinking or feeling… you just have to sense it out based on the way they act and based on what they say. They love to keep their thoughts to themselves, but if they do share something with you, it goes to show how special you really are. These Scorpios will excel in careers which allow them to use their powerful emotions in an imaginative or universal manner, such as acting, psychology, writing, politics, or public speaking. There is rarely anything that gets past Scorpios born on November 16. They are highly aware of their surroundings, as well of their own capacities, and that makes for an unbeatable combination. These Scorpios lead with an individualistic fierceness and will to succeed. Happy Birthday to all Scorpios born on November 16! Enjoy 15% off your Personalized Birth Chart Reading by using the code “birthday”. View cart “Uranus in Taurus Part 1: Transform Your Love Life” has been added to your cart. So I’ve read my chart again… so now this is where I really begin to thank you. I just realize how much this chart describes me. I thank you for the advice to each of my challenges and also to my talents. At this point of time is where I think this chart is very important to the transitions taking place in my life. At this point I realize how bad my thoughts [can be] and how I get lost in the darkness, bringing it more to me. I can now begin to correct my actions and take the actions needed. Thank you! I needed to read that more than once and will continue to read my chart to help me. I love how user-friendly and organized the chart was, and the relaxed, conversational tone helped the information sink in better. You are not only a gifted astrologer, but a brilliant communicator as well! It felt like both an educational and emotional journey, filled with empowerment and solid advice. I can’t thank you enough! I have been reading and re-reading my Birth Chart Reading. You really helped me look into myself deeper — why I am the way I am, and helped me realize I should not be so hard on myself! You described me in ways that good friends could not describe me. I seem to find new things each time I re-read my birth chart. You reminded me of what a strong Scorpio I am and that I need to remember that at all times and continue to focus my mind and energy on all the goals I want to accomplish, because when I do so I make it happen! All I have to say is wow! I was amazed by how you got my personality correct. I am stubborn, hard on myself, I do have a short temper, and I love my friends and family so dearly! I was stunned because it’s all true! I now know what I need to work on. I’m so glad I decided to get this because I was seriously a lost puppy not knowing where to go but now I know what I need to do! I am one happy customer. Thank you so much for my Birth Chart Reading. Reading my chart gave me a better understanding of astrology and myself as a whole. Not only was it accurate in listing my qualities and discussing different aspects of my life, but it also tied everything together for me. You helped give me a more optimistic approach to my life by reading what the Universe has in store for me. You also emphasized that ultimately my destiny is in my own hands. I just wanted to let you know that was one of the most exhilarating things I’ve ever read. I highly appreciate it and I’m going to tell all my friends about your birth chart and advise them to get one from you. Your personalized birth chart is the epitome of why I love astrology. Not a Scorpio. Just a Leo, but very proud to be the mother of such a talented young woman, full of creativity, who succeeded through this site in mixing useful astrological data and analyses, with colorful fun, and in soothing in some ways the hearts of her dear readers. This was extremely inspiring and self confirming. Astrology is an amazing tool. Many of the topics discussed were dead on. I was always aware of my underlying power, for lack of a better word, but now convinced I’m not crazy lol. It’s something I always knew and was aware of even as a child. My potential is greater than I could wrap my mind around. I always dream of bigger and better, but to know that I’m capable of actually attaining those goals and helping people do the same on a grand scale warms my heart and restores faith in myself. As of late, times have been extremely hard, but blindly, I finally see the light. Perhaps that’s the definition of faith. Thank you to the core. I love any information you share, it helps me understand my life and the changes that are happening in it. Very much needed at this day and age. I received my birth chart a few months ago, but I never got around to thanking you. I felt it was the most accurate and uplifting of its kind. I find myself referring back to it every so often and I am always left feeling re-inspired and motivated. The past two years had been very challenging for me, thus the reason I ordered the chart, and I am just so happy I did. Thank you again, and I will continue to read your daily & weekly scopes! OMG… I must have read my reading ten times. I am soooo pleased with it. The information is so accurate. I think I might have cried three times. It got to the point where I had to put down my phone and walk away a few times. However, I was watching the phone from across the room, therefore I picked it right back up. I am so proud of you and your work. Your passion shows. I am so blown away at the accuracy of things in my life. I needed this piece of me, this chart helped me actually understand the makings of me. I so love it and cherish it. I appreciate this gift. I’m surprised! how precise that was to describe me as a Nov 22nd born Scipio ! My personality was just spookily coincided with everything you said in the article !! Thoroughly enjoyed reading my birth chart. It was so accurate! Thank you for this kind and moving review, Mayra! Your reaction is the reason I am an astrologer. I am so pleased that your birth chart reading resonated with you in this way, and I am so grateful for your loyalty and support! Thank you so much for writing my birth chart, I felt so excited reading this!! So many things described I resonated with so deeply and felt like you were reading all those thoughts/feelings that have always been at the core but I couldn’t properly express. I love it so much, and I keep coming back to reading it everyday. THANK YOU! I appreciate you. My birth chart was one of the most incredible things I have ever read. It was like reading a biography about myself. I have read it multiple times! I could not believe how accurate all of the things you wrote were. It is comforting to know that the things I feel are accurate. The chart was extremely organized and easy to read. You truly have a gift. I cannot tell you how happy I am! Thank you so much. Thank you so much for taking the time to write this review. Your support really means the world to me, and I’m so happy your birth chart resonated with you! It was a pleasure writing it. You are a beautiful soul! I’ve read my birth chart any times since the delivery and I am amazed at the level of accuracy. I wasn’t a skeptic however the results have exceed my expectations. I didn’t understand some areas at first but in just a week I understand what I can do to improve. I allowed a close friend to read excerpts and he said that it almost read as if I was describing myself. I am deeply moved and very satisfied with your services. I would recommend this birth chart reading for clarity, insights, or confirmation of self awareness. Thanks SM! Thank you Josue for this kind review! It was a pleasure doing your chart and I’m so glad you loved it! Oh my gosh, where do I start? I’ve been going back and forth with purchasing my birth chart, not honestly knowing if I was ready, & even if it would be worth it. Let me first say, I am FCKING glad that I did (Sorry for my French, well you guys are scorpios so I’m sure FCKING is an all-time favorite). I needed to read this birth chart. I needed to read this birth chart at this transformational point of my life. I can’t thank you enough for this. You have forced me to sit in my truths – no you’ve force me to SOAK in my truths. There were so many “ah ha” moments during my 5 times of reading my chart. There were so many “damn” moments, particularly with my romantic relationship. I had to pause so many times while reading my chart, to simply think. I had to literally THINK and APPLY to it my current life. It’s like you know me, without even knowing me (because no one can simply know ALL of me – I’m a Scorpio ?LOL). I can now point out and deal with my flaws. Not avoid them. Not deny them. I can embrace and CORRECT them. This chart not only taught me A LOT of stuff that I need to know about myself, but it probably saved my life. THANK YOU THANK YOU THANK YOU. I am forever indebted to you. Thank you Scorpio sister for taking the time to write this review! I’m so glad your chart resonated with you and that you’re such an evolved soul looking to constantly improve yourself. Sending you love & light on your life journey. I’m so happy you ordered too Aldana, and that you loved your reading! I wish you much happiness in life and with your fiancé! I have read and reread my chart over the past few weeks. It speaks to my soul! I can’t believe how accurate it is to my life, my chart understands me better than the closest people in my life. I am so pleased with this purchase, my only regret is that I didn’t do it sooner. 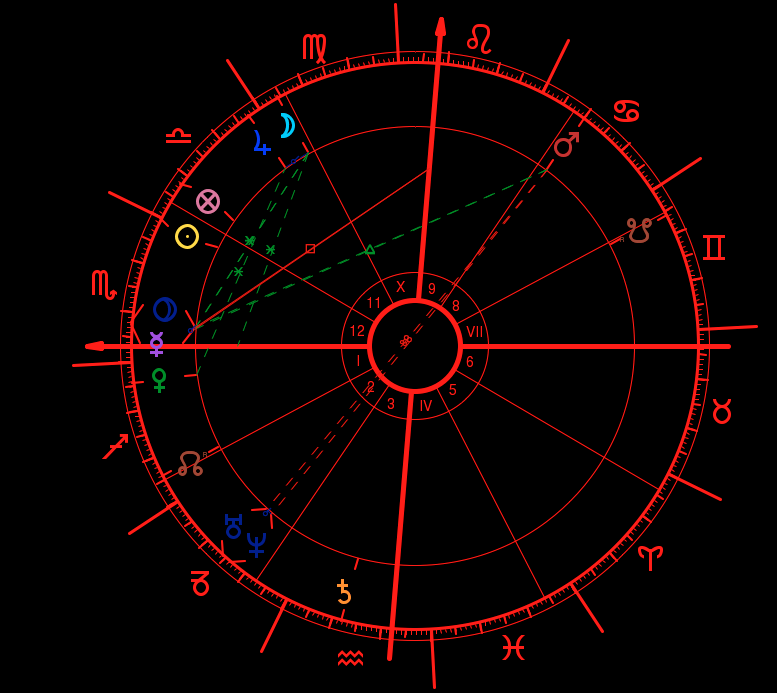 @ScorpioMystique thank you so much for my chart. It’s taken me some time to figure out just what I wanted to say in my review. I couldn’t figure out for the life of me how to say that you are very talented. There is no other way to put it besides you are absolutely, undoubtedly, and extraordinarily gifted!!! Thank you for my birth chart reading I know you put a lot of love and soul into it and I appreciate it. Looking forward to supporting more of your products in the future. Thank you so much for taking the time to leave a review, Nikita! It made my day 🙂 So glad you loved your chart; I really appreciate your support! I received my reading in August 2016, and it has yet to be anything less than eye opening, enlightening and grounding. Every few weeks I read the entire 30-page report again and I feel incredibly empowered and so encouraged having myself revealed to myself. Scorpios, please purchase. You will not regret it. Such an accurate readings. Amazing! Reading about your strengths and weaknesses sounds more complicated than it is. It’s super eye opening and interesting. Get to know yourself on a deeper level because You deserve it. ScorpioMystique makes it easy to read and personal. You can tell she put time, love and passion into it. My Birth Chart Reading was very informative and worth every penny. Best birth chart reading I’ve ever had! Helps a lot in my evolution and understanding! Thank you so much! Thank you so much for the reading. It was spot on and showed both the lower frequencies I have overcome and some of the healthy challenges I face as my continuous transformation and growth. I recommend everyone get a birth chart reading. You are amazing SM, continue to let your light shine. The brighter the light, the bigger the shadow. Thanks for such a thorough reading. It was truly enlightening and I can see myself referring back to it on a regular basis. It was definitely worth it. I was super excited to read my natal chart! ScorpioMystique truly delivered. Reading the chart allowed me to learn more about myself and validate the things I could never explain to other people. I am now more confident in what I always felt to be my purpose/highest potential after reading my chart. I’ve always been a believer in astrology but here were specific things in my chart that amazed me (like specific hobbies and parental relationships). Also, the writing is very descriptive and understandable. Reading my birthchart was a completely eye-opening experience! I really loved how thorough and honest Dossé-Via was. She was able to validate so many aspects of my life while lending some sound advice as to how to deal with certain troubles. I really enjoyed reading my birth chart and I feel like I know myself even better. I highly recommend all you astrology-lovers to get your birth chart reading! So special. This was the most accurate depiction I have ever read about my life. I knew you were something magical, and this did not disappoint. Bless you for your being, and together, we Scorpios will transform the world. Wow. Speechless. It was like someone reached into the very depths of my soul and being, knew everything about me and more. There are no words to describe how awe inspiring, uncomfortable(looking at some truths about self is quite disturbing and uncomfortable). But now I know how to deal with these parts of myself. I felt like my best friend was sitting there holding my hand while I read it. It was so exiting to finally get answers and confirmations to questions I have been asking myself for years! I feel super exited about my future because I know I’m heading in the right direction. This reading was so detailed and in depth . 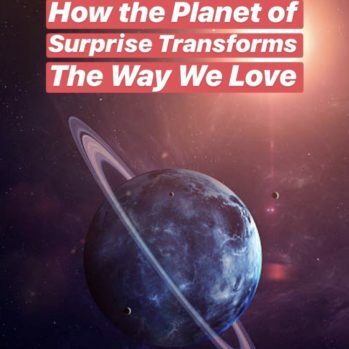 I could tell ScorpioMystique took her time and that means a lot. If you haven’t gotten a reading from her yet, get it today! It is very affordable and the information lasts a lifetime. Thank you so much for this reading my Scorpio sister . We even have the same Birthday! 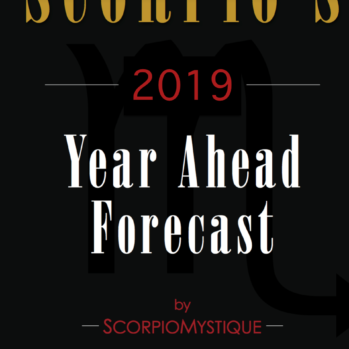 ScorpioMystique let me know that interesting fact in the beginning of the reading. Yo can I just bring to mind how much more awake and harmonious this world would be if everyone got their birth chart at birth? GEEZ!! Your chart mentioned my intuition and “psychic” nature in it a couple times so a lot of what you said I kind of knew.. sort of but there were insights that caught me off guard and my secretive nature wanted me to go hide somewhere. The end part made me teary eyed and left me feeling like I was finally understood. This confirmed and reaffirmed I’m on the right path and that my intentions are noble. I thank you so so so much and I’m going to recommend you to anyone who will listen. ScorpioMystique’s rendering of my birth chart was spot on. This will give you confidence in your strengths and highlight the areas you need to give attention to so that you become all that you’re meant to be. Don’t delay! I am so pleased with my Birth Chart. I have been so looking forward to reading it and when I finally got it I was like wow! wow! wow! Scorpio Mystique is like a best friend that you never met but knows you like 100%!!! I am so grateful for the work you do girl! I will keep reading my Birth Chart until everything syncs in. Hey, fellow Scorpios! ORDER YOUR BIRTH CHART RIGHT NOW!!! I had to read my birth chart and walk away to absorb it. That’s how powerful and pertinent it is. I have gained insight into who I am, and who I have the potential to be. I am so thankful for SM’s time and detail. And even with us having a technical hiccup she made sure that it was worth my while. I didn’t mind bc from one Scorpio to another I knew she’d have my back and she did. She’s a wonderful woman and businesswoman and I am more than satisfied with my reading. I will say it has piqued my interest to learn more abt myself and I’m hoping to link up with her soon for more business. SM, do you only read birth charts for Scorpios? I was excited to see your birth chart pop in my email today, as I didn’t expect for it to come sooner! First of all, I have no words except an endless swath of thank you’s for the birth chart reading. The intricacies of the birth chart are what made it even more fascinating, and not only did you shock me for understanding my inner yearnings and truths, you made it sound so conversational as if I was listening to your podcast and that was very powerful. It felt as if you had been following me since birth with the way you described me, and I had multiple “OMG that’s me” moments. I appreciate the personalized approach, and it made the birth chart more straightforward to understand. I am entirely new but have always been intrigued by astrology, and after reading my chart, I immediately thought of positive intentions that I could manifest in my life. Advice from one Scorpio to the next, please get your birth chart! It’s worth the wait! Just that short write up is absolutely IDENTICAL to how I am…… it’s phenomenal. Also your Instagram readings have really helped through interesting moments in life so thank you for that! Always excited to see what you’ve written about today! The passion and dedication shown by you through your posts are really phenomenal.All the daily forecasts that you post are incredibly accurate and helps a lot to approach life in a more positive way!